How many games do you have sitting your shelf that you’ve already played through, and barely even look at anymore? And how many games are there that you’ve been wanting to play – maybe even for years – but you just can’t justify the purchase of them, perhaps even because of the collection you already have? Of course you can trade in old games to corporate companies like GameStop or Best Buy, and even purchase used games. But let’s be honest.. that’s kind of a rip. They don’t give you much for your trade-in, and turn around and sell it as used for more than twice as much. This is exactly the conundrum a group of gamers was discussing over at Reddit a while back, and developed it into a solution. Now, you can head over to 99gamers.com to trade your games one-on-one with other gamers, and receive and pay amounts much closer to the game’s value. Personally, I love this idea. It’s a process that’s been much-needed in the gaming community for quite a while, and it’s finally here. To hear more about the service, we recently contacted Brandon Kruzeniski of 99Gamers for some questions. BK- 99Gamers is a video game trading community. Members use 99Gamers as a platform to trade directly with each other. Members add their unwanted video games and sell them to other members for a virtual currency called ‘coins’ which are valued at $1 per coin. Members can then spend their earned coins on other games. NiB- What is your role on the site? BK- I’m one of the founders of 99Gamers with the other being my brother Jon. NiB- I hear you got your start from a post on Reddit. Can you elaborate on that? BK- I originally got the idea for a video game trading site when I came across a post on Reddit about how someone would shoot darts at their game collection to choose which game they would play next. I realized that this random person had a bunch of games that I would love to play but just haven’t had the chance to. I turned to my game collection and thought that this person would probably feel the same way about my game collection. I was also tired of getting ripped off by GameStop, knowing they would turn around and sell the game for double the next day. I knew other video game trading sites existed, but none of them were what I wanted them to be. I wasn’t sure how many people would be interested in something like this so I decided to post it to Reddit and see what the response was like. I was thinking maybe a few hundred people would see it and I’d be able to get some feedback on the idea, but within a few hours the post was at the top of r/gaming and even hit the front page for a while, resulting in thousands of signups. I then knew enough people felt the same way I did so I went forward with the site. NiB- How can it help the gaming community? BK- First, we save people a lot of money. Trading on the site is completely free so you’ll really start to see the savings add up quickly. 99Gamers is built by gamers for gamers with the sole intention of getting more value out of your game collection. We are a platform for gamers to trade directly with each other so the middle man can be cut out. Many people feel like they get ripped off when using trade-in services so 99Gamers can be used as that alternative. I’ve also found that because you have access to such a large game library you are more inclined to try out games you may have not given a chance before. You are then more likely to purchase the sequel when it comes out. For example I hadn’t played the Dead Space series yet but after getting the games through 99Gamers I ended up buying Dead Space 3 new. NiB- Have you gotten any backlash from corporate gaming companies? BK- We haven’t received any backlash at all. We’re still fairly new and have been mostly underground so it’s doubtful they know about us yet. NiB- From what I understand, you just came out of beta. How has membership grown since then? BK- We came out of beta about two months ago and we’re starting to pick up momentum. Just last week, it was nine months since I originally posted about the idea on Reddit so I did a follow up post about our progress so far. We ended up hitting the front page again which resulted in us more than doubling our user base within 24 hours. We went from having 2,300 members to now almost 6,000. NiB- Has this project been received well by the gaming community? BK- Yes, I believe it has been received quite well. Both Reddit posts reached the front page which shows many people share the same feelings of not wanting to get ripped off by trade-in offers. When members trade directly with one another games can be offered at a lower value and people tend to appreciate knowing that their games will be going to a good home. NiB- Are there any particular games trending on the site right now? BK- Assassin’s Creed III and Far Cry 3 have been popular over the last few months. Now that the new Tomb Raider is out it usually gets picked up quite quickly. Pokémon games are of course always popular as everyone loves playing them. I’ve found people will often buy every game in a series together. The Mass Effect series has been very popular in the past. NiB- Are there any games you’re hoping get put up so you can nab them? BK- I actually had a list of games I had wanted when I came up with the idea and wouldn’t allow myself to get them through anywhere but 99Gamers. A few I’ve gotten are Kingdom Hearts, Max Payne 3, Pokémon SoulSilver and Assassin’s Creed II. One that I hadn’t yet received was Just Cause 2 but after the Reddit post last week I managed to grab it and it’s now on its way! NiB- Any future project plans for the site? BK- Up next we’ll be adding PC games and digital codes. The search, browse and profile pages are getting a much improved new look. These will help members discover new and interesting games faster. Down the road we plan on adding consoles and gaming accessories into the mix as well as some more exciting features. Our main goal continues to make buying and selling games as easy as possible so our members can spend more time playing games. You can visit 99Gamers here: http://99gamers.com – Hopefully you’ll find something you’ve been wanting. Let us know how it goes! This is a follow up to my last WoW post about the upcoming Female Panderan Models. A few weeks ago, Blizzard finally released the Female Panderan model and they look amazing! All the images are from World of Warcraft. They aren’t just skinny pandas, they resemble the Male Panderan, but still retain that female quality. It isn’t quite a male with a bow on its head, but it isn’t that far off either. Some people might not like the models, but then they don’t have to play them. With the beta getting into full swing more people can play with both Panderan models and find any bugs that might occur. This way the designers can make the models even better. And in a complete turn around, the female models seem to have better animations than the male models, which get stuck in the frame pose from time to time. It is usually the female models that have the most issues, so it’s nice to see that Blizzard must have worked hard at making the female models even better this time around. A few weeks ago, Blizzard, the maker of World of Warcraft, held Blizzcon to showcase all of their games; WoW, Diablo III and Starcraft II. They started off the con with information about their new WoW expansion, Mists of Pandaria. They showed off a lot of new things such as the new playable race, Pandaren, a new class, Monk, new mobs to fight, and new locations to explore. One thing they didn’t show off was the female model for the Pandaren. There was a picture of a Pandaren with a bow on it’s head, and many people wouldn’t mind that being the female model for the new race, but I don’t know if that will happen. Apparently the creator of the Pandaren has always drawn females as Red Pandas. People fear that female Pandaren will be slimmed down to fall in line with the other female races. Blizzard has changed female (and male!) models before. In the Alpha version of WoW, Troll females were just as hunched over as males and seemed to have more facial choices. For whatever reason, Blizzard decided to change the model into what is now used today. The female Troll model has limited facial options and many Trolls tend to look the same. There’s a video of the Alpha Troll model here. Below is an image of the current female Troll model. They also seemed to have slightly altered the Tauren female model from the Alpha version. It doesn’t seem to be a huge change, like with the Troll females, but it’s still an odd change as the Alpha Tauren female looked fine. Here’s a video of all the Alpha models, Troll and Tauren included. Below is an image of the current female Tauren model. As I said before, Blizzard even changed male models for Blood Elves back before Burning Crusade was released. The Beta male models were slim and not as muscular as the other male members of the Horde (minus the Forsaken). There were some complaints that the Beta models looked “too gay” or “too pretty”, this might not have been why the change was made, but no one knows for sure. The latest model change came back before Cataclysm was released. The Worgen male and female models went through a lot of changes; from looking, some would say, more wolf like to becoming more feral. The female model came under the most fire as they lost a little of the muscle they had and didn’t really seem to match the male Worgen model. Here’s a video of the Alpha models. And below are images of the Alpha and current models. It’s all personal preference and personal opinion on whether you like the old models or the current models better. I’m just hoping that the female Pandaren aren’t going to be too different from the male version. How many hours a week do you spend playing games? Any games. From simple little time-wasters on your mobile phone, to completely engrossing RPGs involving putting together missions and raids with fellow gamers. What if those hours you spend building and changing virtual worlds could actually be applied to the problems in our every day life? This is the basis for Jane McGonigal’s Reality is Broken. As a long-time game developer, McGonigal has had the chance to examine, first hand, how gaming can become a very huge part of a person’s every day life. In Reality is Broken, we explore how this is not only a growing trend, but how it can be a very positive one. While non-gamers have always been critical of gaming, there are very clear perks to the lessons gaming teaches us. A particularly interesting fact McGonigal expresses through her research is what she calls ‘the four super powers’ that a person develops through gaming regularly. These include: urgent optimism, social fabric, blissful productivity, and epic meaning. This pretty much means that by being a regular gamer, a person can be their own highly-motivational pep rally, make connections, build trust, and learn team-building skills by working with other gamers, be legitimately happy about putting forth all of this effort, and feel like they’re making a difference. All of these skills are things you just don’t get in the real world very often these days. You don’t get to level up by taking the trash out or recycling. There are no one-up mushrooms for helping old ladies cross the street. Beating your head on a brick definitely does not produce a ride-able miniature dinosaur. …..okay, so maybe nothing can be done about that last one. The issue here is that by keeping all of these great developments restricted to virtual worlds, we’re taking all of this potential out of the real world, and keeping it smothered in lands of orcs and fairies. Meanwhile, we have issues that need to be addressed in reality. McGonigal’s suggestion to counter this is to create games that address real-world problems and offer legitimate solutions. Through this, we can not only train future generations to look at real solutions critically and creatively, but actually generate those answers quicker and more efficiently. A few games like this already exist. 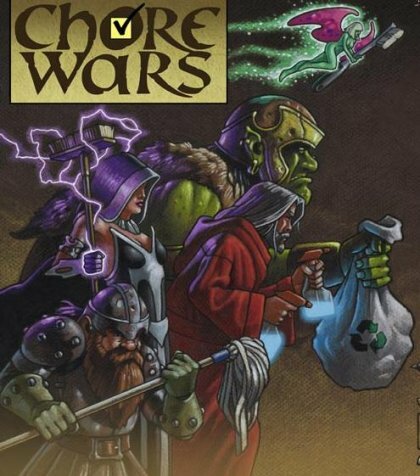 Consider Chore Wars, which is apparently a game similar to World of Warcraft, but played in real life, using daily, household chores as missions and achievements. Additionally, McGonigal, herself, has created three – yes, three! – games in which you address large, real-world problems in a fun, gaming setting. Games like World Without Oil, Superstruct, and Evoke are highly creative ways to brainstorm realistic solutions. Sort of makes you wonder if Left for Dead was actually a way to generate workable zombie plans, huh? To make this idea work, games would need to evolve in the right direction, and we’d all have to step it up on the amount of hours played. 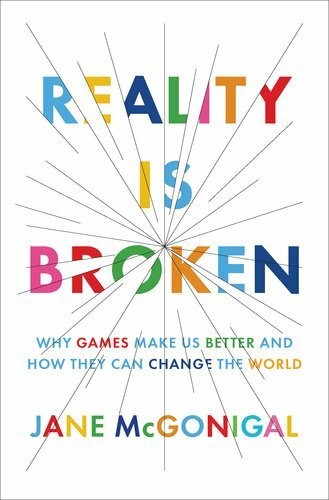 Reality is Broken presents these views in a very thorough and thought-provoking manner. McGonigal offers well-researched scientific fact to back up all of the ideas expressed, and lays out a goal for the future that comes across as realistic and reachable. While the beginning of Reality is Broken is a little long-winded going over qualifications for making these statements, this does establish a trust between the author and reader. McGonigal offers a radical idea backed up by well-documented facts, and a realistic path to get there. I would highly recommend taking a look at Jane McGonigal’s bio and qualifications, her speech on this topic presented through , and, of course, the actual book, Reality is Broken, now available on . What do you guys think? Can games change the world? Blizzard has decimated their landscapes! In preparation for their latest expansion “Cataclysm”, Blizzard rips Eastern Kingdoms and Kalimdor asunder. They explain that an “old evil” by the name of Deathwing is rising. Deathwing is a superhuge dragon of dragony proportions. You can watch the trailer yourself (link at the bottom of this post). With the Burning Crusade expansion it was the introduction of the Horde race Blood Elf and the Alliance race Draenai. In Wrath of the Lich King, there was the addition of the player class DeathKnight. True to fashion, Blizzard has announced the introduction of two new player races: Goblins and Worgen. Goblins and Worgen have been in the game for as long as I can remember, but they have never been player characters. Also, they’ve been pretty generic. Goblins have appearance adjustments to choose from and the Worgen have gotten a major overhaul. MAJOR. In addition to this, the level cap has been increased to 85. Odd, as it typically raises in increments of 10. They’ve explained that off that the new goal is to improve your characters through talents and a path system that will be implemented (I’m assuming it’ll happen in a patch before Cataclysm’s release date). They have added new high-level zones with Uldum, Grim Batol, and a Sunken City that looks like it would bitchslap Ariel and also boast more raid content than ever before. Great… Thanks Blizzard. I’ll never see my bro again. They’re also finally taking some of the races class exclusions away. Now you can finally be a gnome priest or blood elf warrior. A tauren paladin! A troll druid (My brother and I have always thought was weird that you couldn’t be one. That’d be perfect.)!!! Squeeeee! New Secondary Profession: Archaeology! Apparently with the enormous changes in the landscape, you now can unearth valuable artifacts and earn rewards! I can hear the auction house bells chiming! The flying mount ban in Kalimdor and the Eastern Kingdoms has been lifted. I’m guessing that Blizzard can justify that due to the fact that a humongous dragon is going to be flying around getting his burn on in Brill. Check out the trailer for more details! Let me know how you feel about it! Are you excited? Irritated? Bored? I haven’t decided if I’m going to start playing again, but the Worgen look pretty fierce so you never know.